“Mike Honeycutt’s World of Hunting and Fishing” is more than just a guide for passionate hunting and fishing enthusiasts all over the world. Other than providing insights for individuals like him, the author speaks about his desire to hunt and fish in exotic locations all over the world from his own experience. Readers will surely be delighted to learn Honeycutt’s expertise in hunting and fishing while reading about different cultures, places, and religions in the places he has traveled to. When it comes to remote trips with great sceneries, Mike Honeycutt is more than happy to participate. For him, there’s nothing more exciting than to go on an adventure hunting and fishing for unusual species in different exotic locales around the world. His extensive travel experiences inspired him to impart his knowledge and expertise to those who share that same passion as his. 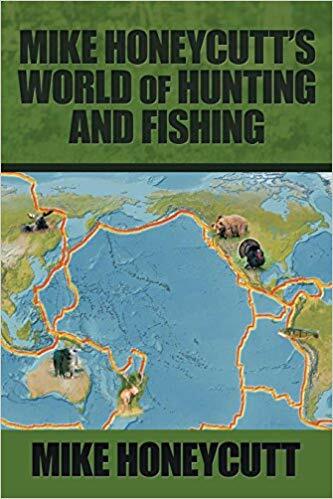 With “Mike Honeycutt’s World of Hunting and Fishing,” readers all over the world will surely be delighted to learn Honeycutt’s expertise in hunting and fishing. Not only that, readers will be treated with wonderful and exciting stories from Honeycutt’s experiences while traveling all over the world and fulfilling his passion to hunt and fish in many locations. Each page is rich with insights and first-hand experiences from his journey in interesting locations like the United States, New Zealand, Mexico, Argentina, Cameroon, and Mongolia. Along with his adventures are stories of different cultures, terrains, religions, food, and personalities. With all these in one book, this exciting travelogue is truly an adventure in itself. Catch “Mike Honeycutt’s World of Hunting and Fishing” as it takes on another adventure as it joins the upcoming 2018 Frankfurt International Book Fair on October 10-14, 2018. Hoping to share Honeycutt’s knowledge and insights on traveling, hunting, and fishing to a wider audience, this book will be featured during this much-anticipated event. Be sure to check it out!